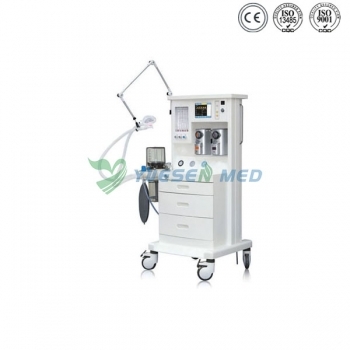 Anesthesia Machine, with its ergonomic design, integrates a concise and smooth structure and high mobility. Machine is both outstanding in performance and versatile in functions. and Sevoflurane, ensuring a successful anesthesia operation. 3.High-definition four-tube flowmeter, designed with stoppers for oxygen and nitrous oxide to control the output oxygen concentration. 5.Economic and proper configuration of technologies, optional as required by the Customer. 6.Modularized design and upgrading. Upgrading is available as required by the Customer.